Luvlap is a popular name in the baby gear company in India. We also rate their baby car seat – the Luvlap Sports Convertible Baby Car Seat as one of the 5 best baby car seats in the country. Luvlap products are bestsellers and customers are very happy with its value for money. So, read on this Luvlap Sports Convertible Baby Car Seat Review. How Good is the Luvlap Sports Convertible Baby Car Seat? The Luvlap sports seat is a state of the art convertible baby car seat. It is a seat for the kids up to the age of 4 years. 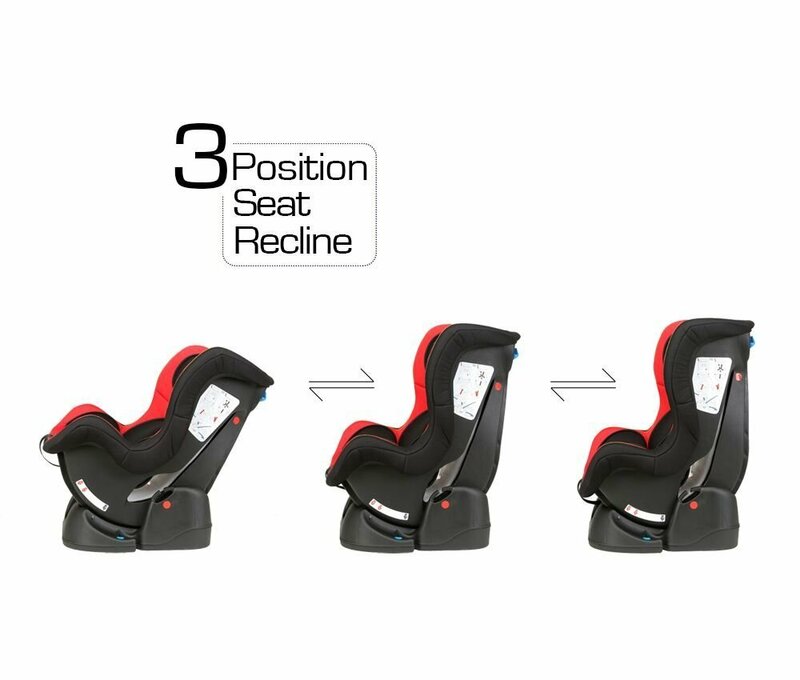 The baby car seat combines a forward facing position and rearward facing seat. It has a European Standard certification and ideal for babies up to 18 kgs.It just needs seat belts to install and that’s how simple it is. The size dimensions are 66.2×47.2×46.4cm and it weighs little more than 8 kgs. The Luvlap baby car seat is integrated with three-position reclining backrest for a comfortable sitting and sleeping position as well. It also comes with superb safety performance for head and side protection. The state of the art design comes with cushioned wings for impact protection to provide comfort and safety to the little one. This innovative car seat properly secures protection to baby legs, hips, and head. The integrated backrest makes sure the best position of the spine. Who is this Luvlap baby car seat for? 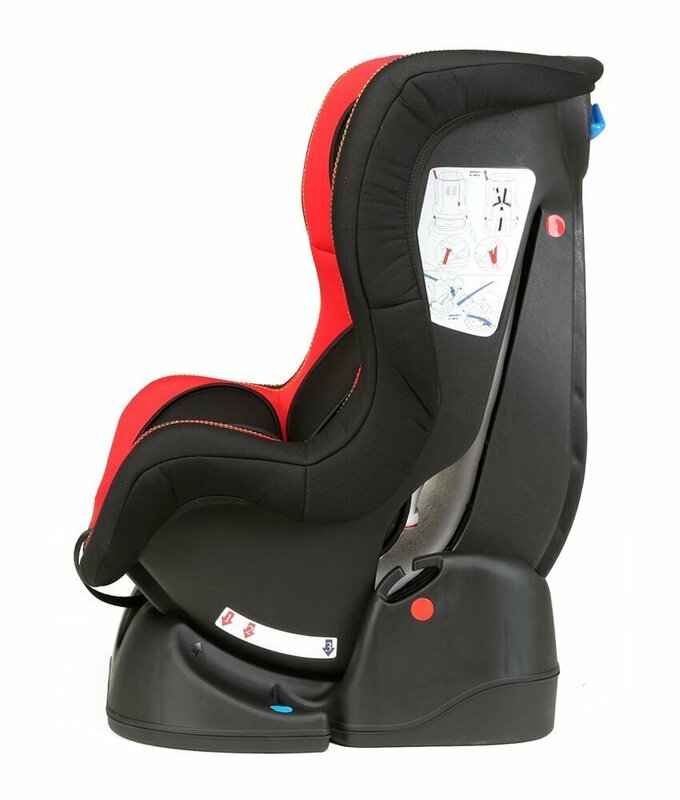 This baby car seat is suitable for the babies up to the age of 4 years. But, we advise not use the car seats till the baby attains 4 months. The Luvlap baby car seat can be used with two options. Rear or back facing and front facing. The babies till the age of 15 months should use the back facing option. You can also use the front facing option when the baby crosses 9 months. Front facing usually is recommended for 9 months to 4 years. 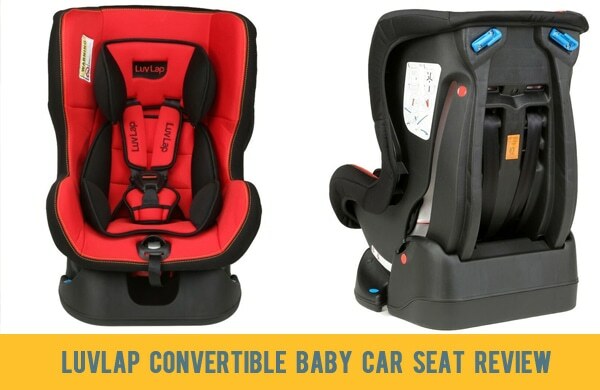 The Luvlap Sports Convertible Car seat is so straightforward to install. You have to fix it up to three-point car safety belts available in any cars. The car doesn’t have the Isofix option. It just needs the belts option to install the seats in a five-point harness for a tighter and safer grip. The best part of this type of car seats is that you can install or fix it in any cars that run on the Indian roads except Tata Nano. The integrated five-point safety harness offers additional safety. 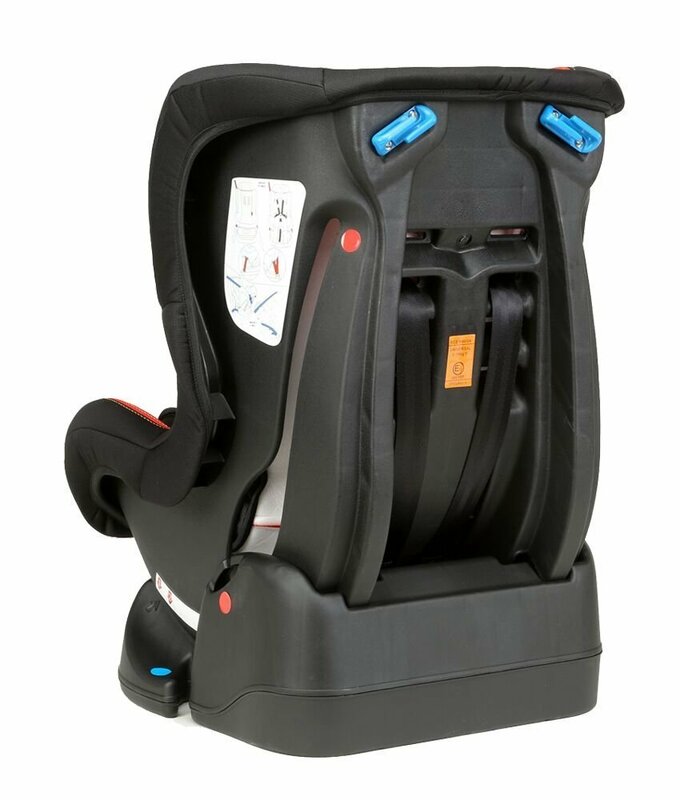 It also comes with height adjustable headrest as well as harness system is made to adjust the kid’s height that assists provide a comfortable and luxurious ride to your kid one pull adjustment. The safety belt is easy to fix to loosen or tighten the safety belts as well as to get little one in or out of the car seat with ease. 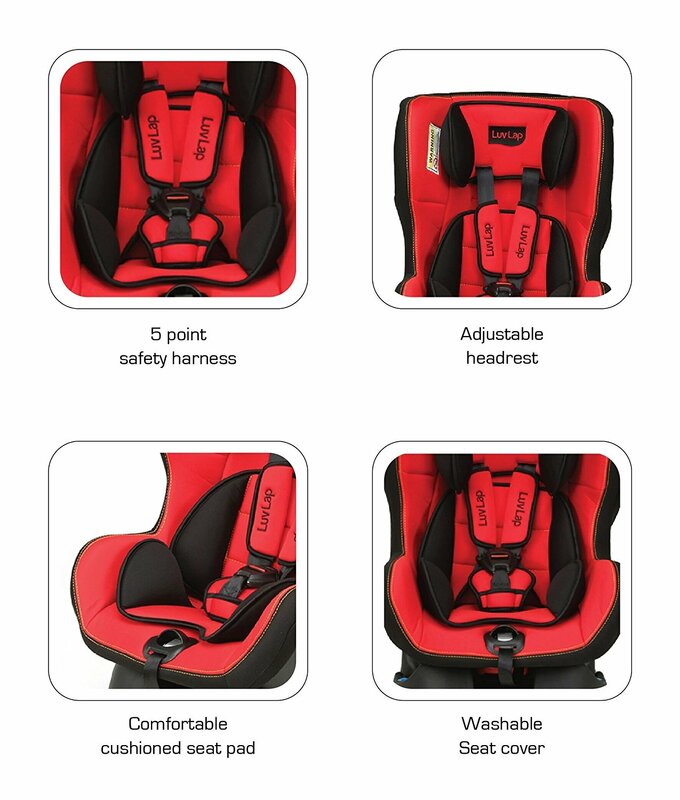 The seat also provides five harness points to ensure the safety of the baby. The thicker headrest, crotch and shoulder pad makes it comfortable for your baby. The cushioned side security with a cover that is made of an extremely soft breathable material for kids safety while the luxurious cushioned and washable seat allows you to clean it either manually or machine wash. It is also easy to detach for cleaning. You can also attach a Shoulder Pad Seat Belt Cushions on the belts for extra safety. Why should I buy the Luvlap Sports Convertible Baby Car Seat? The Luvlap seat can be easily installed into any cars with 3-point car safety belt. The headrest’ height is adjustable and the harness fixes to the baby’s height for a comfortable ride. The thick headrest, shoulder and crotch pad is extra cozy for the baby to snug in the seat. It has a removable and washable cover, so you can clean it with ease. They are made of high-quality materials that will surely last for many years of use. The Luvlap baby car seat has sufficient reclining level and is ideal for babies between four months to four-year-olds. You can also have Luv Lap Backless Booster Baby Car Seat along with it. A lot of Luvlap sports convertible baby car seat review on Amazon show remarkable satisfaction with the product. The reviews online show that this product is value for money and reliable. In fact, one customer stated that this product is the best investment for his six months old kids due to the many safety measures equipped with this product. Though it is expensive, it has lots of essential features for kid’s safety and comfort. Our Luvlap sports convertible car seat reviews are positive but when it comes to the question of from where to buy. We blindfolded recommend Amazon and the best part is the Luvlap seat is fulfilled by Amazon. It ensures timely delivery. Amazon’s services are customer oriented. They ensure better quality and safety in ordering. If you want to check the details and the current price, Click Here. Buy it soon, as the prices on Amazon are subject to change!